ABKCO Films in collaboration with Screenvision Media, a national leader in cinema advertising, announced today ticket availability for "The Rolling Stones Rock And Roll Circus". Theatre screenings for the iconic 1968 concert show will take place April 1, 3, 4, and 5 in select theaters nationwide, including markets such as New York, Los Angeles, Chicago, and Dallas. The live concert special's restoration has been sourced from the 35mm internegative and will be presented in both Dolby Vision and Dolby Atmos sound. The Dolby Vision laser projection system delivers astonishing brightness, incomparable contrast, and captivating color that more closely matches what the human eye can see. Dolby Atmos places and moves sounds anywhere in the Dolby Cinema, including overhead, to make audiences feel they are truly attending "The Rolling Stones Rock And Roll Circus". Together, Dolby Cinema's combination of powerful image and sound technologies creates an engaging, multi-sensorial cinema, and concert, experience for viewers. Directed by Michael Lindsay-Hogg, "The Rolling Stones Rock And Roll Circus" was originally conceived as a BBC special and was filmed before a live London audience in 1968. The film centers around the original lineup of THE ROLLING STONES — Mick Jagger, Keith Richards, Brian Jones, Charlie Watts and Billy Wyman — who serve as the show's hosts and featured attraction. It stars the band performing fan favorite classics like "Jumpin' Jack Flash" and "You Can't Always Get What You Want", as well as extraordinary live performances by THE WHO, JETHRO TULL, and more. This performance marks the first musical concert in which John Lennon performed before an audience outside THE BEATLES, as part of supergroup THE DIRTY MAC, which also included music legends Eric Clapton, Keith Richards and Mitch Mitchell. "The Rolling Stone Rock And Roll Circus" is also the only time Tony Iommi of BLACK SABBATH performed with JETHRO TULL, and the last time Brian Jones would perform with THE ROLLING STONES in front of an audience. Iommi joined JETHRO TULL in December 1968 after leaving EARTH, his pre-BLACK SABBATH band with Geezer Butler, Bill Ward and Ozzy Osbourne. After performing with JETHRO TULL at "The Rolling Stones Rock And Roll Circus", Iommi quickly came back to EARTH. 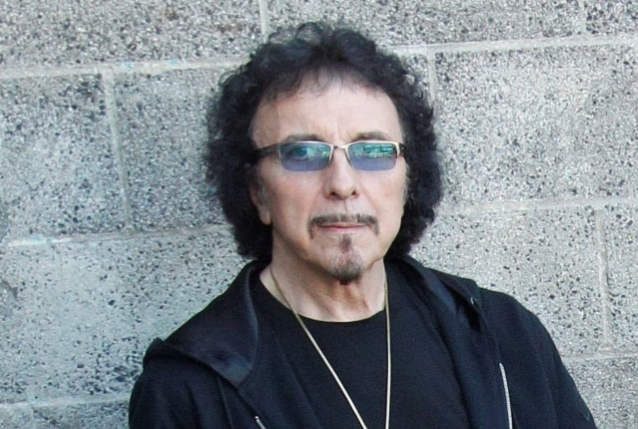 "I learned quite a lot from [JETHRO TULL's Ian Anderson], I must say," Iommi later said. "I learned that you have got to work at it. You have to rehearse. When I came back and I got [EARTH] back together, I made sure everybody was up early in the morning and rehearsing. I used to go and pick them up. I was the only one at the time that could drive. I used to have to drive the bloody van and get them up at quarter to nine every morning, which was, believe me, early for us then. I said to them, 'This is how we have got to do it because this is how JETHRO TULL did it.'" "We are thrilled to share the incredible 'The Rolling Stones Rock And Roll Circus' with moviegoers and music fans for this limited engagement," said Darryl Schaffer, executive vice president of operations and exhibitor relations, Screenvision Media. "We think it's the perfect time to answer fans' excitement and give them an unforgettable concert experience from the comfort of their local movie theatres." 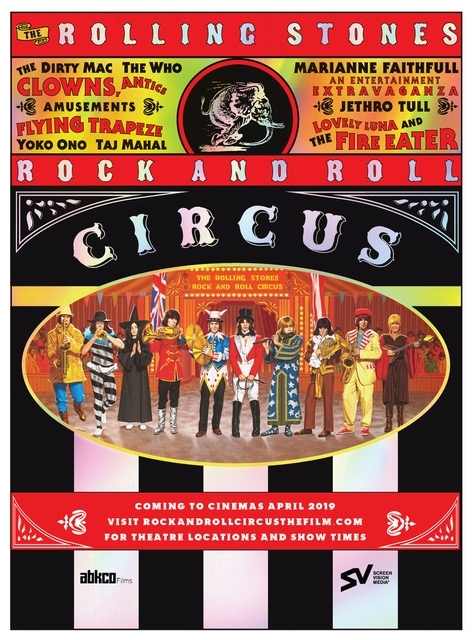 For more information on "The Rolling Stones Rock And Roll Circus" or to purchase tickets, visit www.rockandrollcircusthefilm.com.